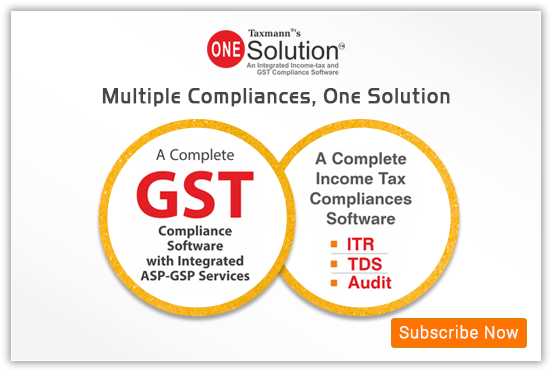 GST Compliance Software: Taxmann, publishers of tax and corporate laws in India, has introduced its GST compliance software- “One Solution” in Hyderabad on Wednesday.It is an “integrated software for all GST, Income Tax and TDS compliances”, the company said. Piyush Kumar, CEO, Taxmann Technologies, said the implementation of GST will increase compliance for companies. Taxmann is targeting the small and medium businesses as well as tax professionals. The software will be available in both offline as well as cloud-based offering, said Piyush Kumar, chief executive officer, Taxmann Technologies. “Keeping in mind the increased compliance and monthly returns that a company needs to file, we created One Solution which covers buyer master, supplier master, goods and services master, branch master and bank master with a facility to import from Excel.The software will give sufficient time to the taxpayers to configure their systems and create the required masters for GST,” Kumar said. This will be helpful for all activities from invoice generation to filing the returns. The software is designed to help the traders claim the input credit, which is the base for the GST, he said.It will automatically tell the tax rates and the products that fall into that category. The solutions cost Rs 8,500 per year. It will include the installation, demon, and service for a year. The compliances under the GST regime are time bound and every month a registered dealer has to file three returns and an annual return taking the total to 37 filings a year.Taxmann will also open GST Centres, which will cater to chartered accountants, company secretaries, cost accountants, advocates and tax professionals.Taxmann is one of the 34 GST Service Providers authorized by the GST Network.